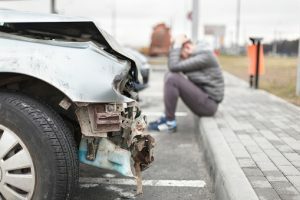 If you were hurt in a car accident caused by another driver’s carelessness, you’re likely facing extensive medical expenses, time away from work, and costly property damage. You may also be confused about your options and feel pressured into accepting an insurance company settlement. Car accidents often leave victims hurt and confused about their options for fair compensation. But these initial offers from insurance providers are rarely enough to compensate injury victims’ full recovery needs. The Oklahoma injury lawyers at Carr & Carr Attorneys at Law are here to guide you through this difficult time and fight for the financial security you require. Since 1973, our experienced attorneys have obtained millions of dollars yearly for injury victims and their families through successful verdicts and settlements. We offer free consultations to help you understand your choices, and we don’t get paid unless we collect compensation on your behalf. If you were hurt or a loved one died in an auto accident that was the result of another’s negligence, please call us at 877-392-4878 or contact us online. 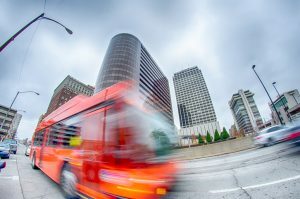 Oklahoma is a “tort” state as opposed to a “no-fault” state, which means at-fault drivers can be held accountable for resulting damages from an accident. 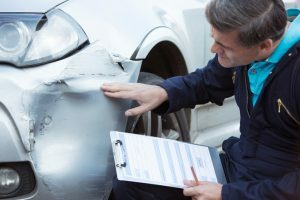 The state also requires all drivers to carry a minimum level of insurance to cover damages in the event of an accident. Traffic in Tulsa. About 26 percent of Oklahoma drivers lack adequate insurance, according to the Insurance Information Institute. Unfortunately, not all drivers follow the state’s insurance rule. According to the Insurance Information Institute, 26 percent of Oklahoma drivers are driving without insurance, the highest percentage rate in the United States. Oklahoma also follows a modified comparative negligence standard, which assigns drivers involved in a crash a percentage of liability. An individual cannot recover damages if he or she is more than 50 percent at fault for the accident. If a family member was killed in a car accident caused by a negligent driver, our attorneys may be able to help you seek damages through a wrongful death claim. Crash victims should undergo a medical evaluation, even if there are no immediate signs of injury. It can take hours or even days for the onset of some injury symptoms. A physician may detect certain severe injuries—including brain injuries—before symptoms are obvious to the victim or the victim’s family. Moreover, this medical documentation will be beneficial to your case if you decide to file a personal injury claim. It’s a good idea to talk with a lawyer before accepting an insurance settlement. Initial insurance company offers are rarely enough to fully cover medical expenses and other damages. It’s also important to document as much as you can about the accident as soon as you can. This includes contact information for any witnesses, photographs of the accident scene, and pictures of resulting injuries. For additional information, please see our What to Do Following an Accident page. Time is of the essence after an accident. Although Oklahoma’s statute of limitations allows injury victims two years to seek compensation for damages, delaying your claim increases the risk of vital evidence being lost. The sooner you contact an attorney, the sooner your case can be resolved. Our lawyers understand the distinct needs and challenges faced by injury victims, and our law firm has built a record of success spanning more than 40 years based on our legal experience and individualized dedication to our clients. With offices in Oklahoma City, Tulsa, and northwest Arkansas, our attorneys are ready to help you when you need help most. We can arrange to meet you for a free, no-obligation consultation at your home, hospital room, or other convenient location. Please call us today at 877-392-4878 or contact us online to tell us your story.